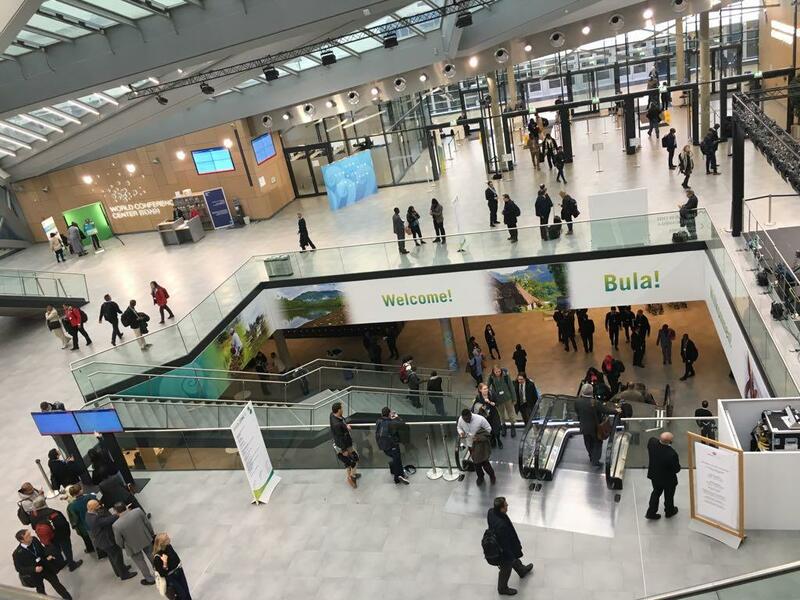 At Bonn, Parties are working towards creating a rule book for implementing the various provisions of Paris Agreement. One such provision is the New Market Mechanism (NMM) mentioned in Article 6 of the Paris Agreement. The Agreement talks of cooperative approaches “which would involve the use of internationally transferred mitigation outcomes (ITMO) towards nationally determined contributions, promote sustainable development and ensure environmental integrity and transparency.” Thus, ITMOs are meant to help in meeting a part of commitments of Parties, as defined in their Nationally Determined Contributions (NDCs). The round-table discussion on NMM at Bonn, which was closed to observers. happened on range of issues, including the nature of the work programme, the organisational arrangements to assist in the implementation of NDCs and reporting institutions to monitor action. Thereafter, the discussion focused on fleshing out the rules and technicalities of Article 6. Article 6 not only talks about cooperative approaches, which include ITMOS, but also about sustainable development mechanism (SDM) for mitigating greenhouse gas emissions and supporting sustainable development. The Article, however, fails to provide link between ITMOS and SDM. Moreover, it talks about non-market approaches without elaborating them further. Prime questions persist. How to define ITMOs, SDM and non-market cooperative approaches? What should come under the three components and what should be the linkage between the three? Or should they be kept different yet complementary to each other? Some Parties have referred to ITMOs as 'emission reduction units'. However, the Alliance of Small Island States (AOSIS) does not treat ITMOS as ‘emission reduction units’ or ‘allowances’ or something that is ‘bankable’. The group has also focused on non-market cooperative approaches. There are fundamental issues with regard to ITMOs. How would the ITMOs be registered for transfer considering that the nature and content of NDCs are diverse and not mitigation-centric, as was the case under Kyoto Protocol? How to avoid double counting of mitigation outcomes (for both the buyer and seller of mitigation outcome)? How to report and account for the ITMOs? How to generate demand for the mitigation outcomes and how to define additionality (in addition to business-as-usual scenario) in relation to ITMOs? Another major issue is the extent of readiness of Parties for creating quality mitigation outcomes and transferring the mitigation outcomes to avoid double counting. Under the Paris Agreement, the incentives for market approaches are different. The purpose, as enshrined in the Agreement, is to “deliver an overall mitigation in global emissions and contribute to sustainable development”. This approach is different when compared to the motivations behind the market mechanisms under the Kyoto Protocol, which was largely about gaining financial benefits for developing countries with developed nations meeting a part of their Kyoto commitments. The Paris Agreement envisages a new role for countries participating in market mechanisms. Distinction between developed and developing countries is absent in the Paris Agreement as it encourages all Parties to voluntarily develop their markets internally and trade the mitigation outcomes with other markets. This makes the situation more complicated because different countries are at different starting points in relation to carbon markets. While countries like US, EU, Japan, Vietnam, Ukraine and Brazil have more developed and active carbon markets, African countries such as Ethiopia are at a preliminary stage. The Paris Agreement points to new market approaches to build on the ‘learnings and experiences’ of the Kyoto market mechanisms but not to the same institutions, mechanisms, structures and methodologies used in the Kyoto regime. Therefore, institutions under Kyoto may not be much relevant to Paris Agreement and may have limited role under the new regime. If this is agreed upon as the starting point for creating NMM, it would be an even more cumbersome process for all countries to start a new regime for carbon markets at whichever stage of development they are in. Developing countries would need enabling conditions, more robust and transparent monitoring and accounting mechanisms for development of carbon markets. Efficient and functioning carbon markets depend largely on enhanced transparency framework of action and support and accounting mechanism. Discussions need to take place on the linkages among the three components and how to integrate and synchronise them. However, the major challenge is that negotiations on markets fall under SBSTA (Subsidiary Body for Scientific and Technological Advice) while the transparency and accounting frameworks are under the APA (Ad Hoc Working Group on the Paris Agreement). At present, more coordination is needed between the two negotiating bodies. So far, nothing has been agreed upon in relation to markets and almost every issue needs deliberations. Going by the present pace and substance of discussions, a draft document on rules, modalities and guidelines seems difficult.